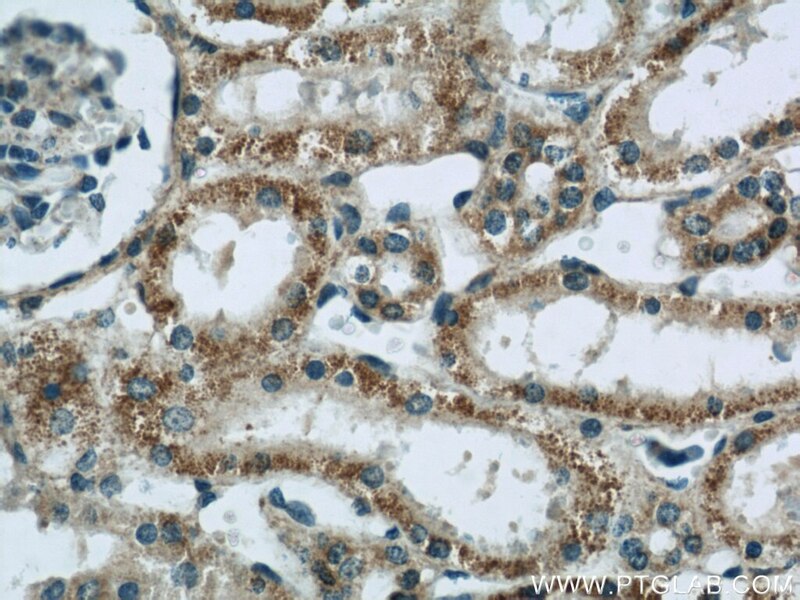 IP Result of anti-CNOT1 (IP:14276-1-AP, 5ug; Detection:14276-1-AP 1:500) with mouse kidney tissue lysate 4000ug. 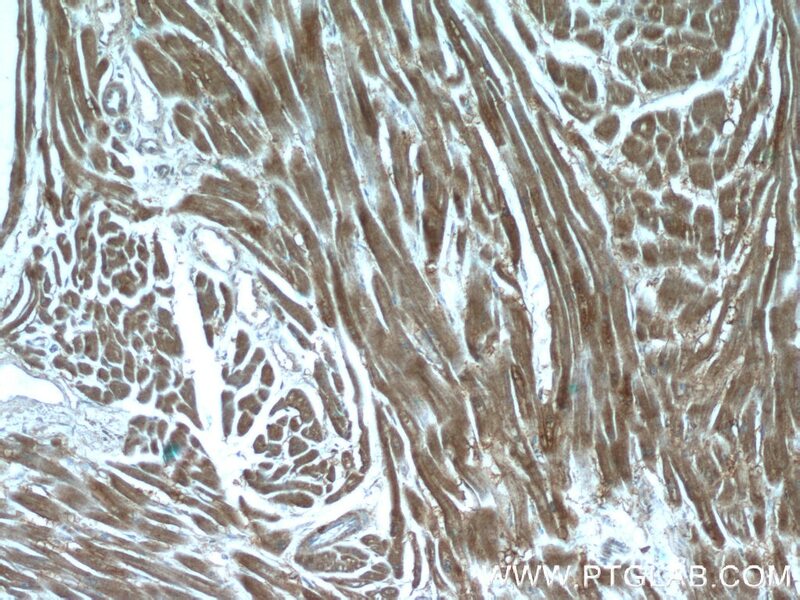 Immunohistochemical analysis of paraffin-embedded human heart tissue slide using 14276-1-AP( CNOT1 Antibody) at dilution of 1:200 (under 10x lens). 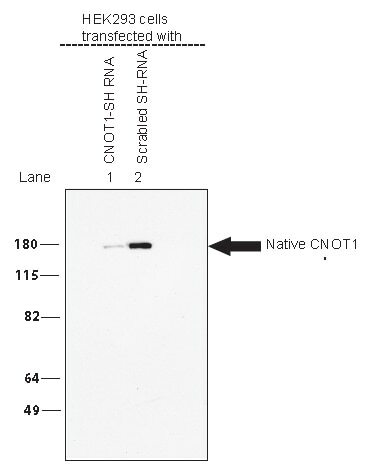 CNOT1 is a component of CCR4-NOT protein complex, which is a regulator of RNA polymerase II transcription, acts as a transcription repressor. 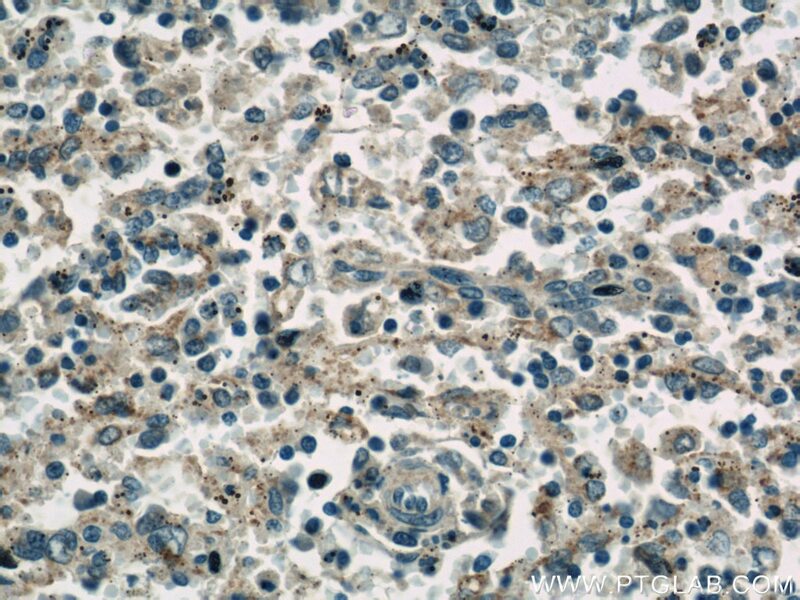 CCR4-NOT complex could participate in transcription as well as mRNA degradation. 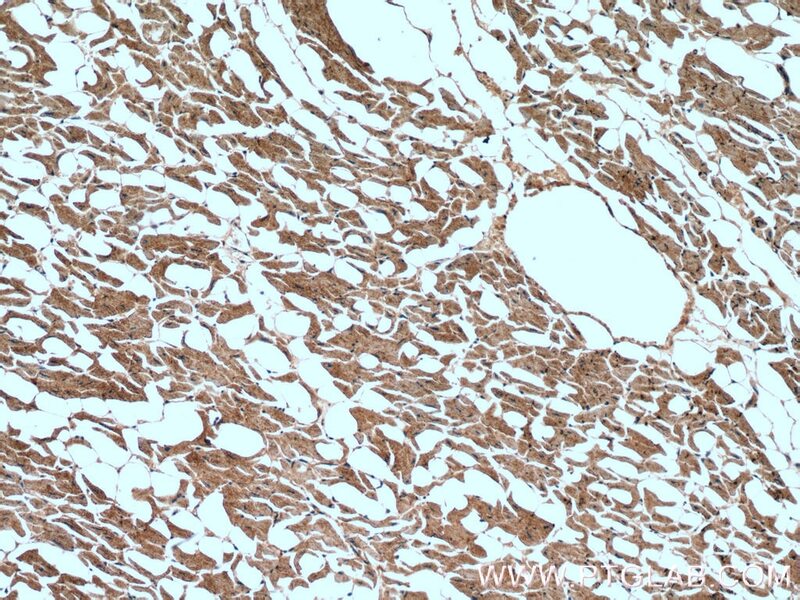 It's highly expressed in brain, heart, thymus, but weak in skeletal muscle and colon. 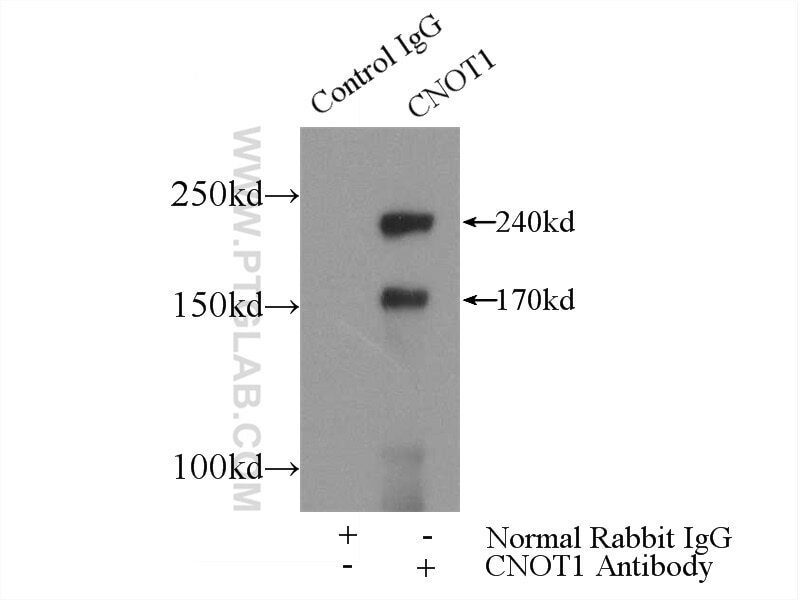 CNOT1 undergoes alternative splicing to produce four isoforms.This is a rabbit polyclonal antibody raised against part chain of C-terminal CNOT1 of human origin. CNOT1 exsits as many isoforms and molecular weight of isoforms are 267, 241 and 173 kDa. Binding of NUFIP2 to Roquin promotes recognition and regulation of ICOS mRNA. 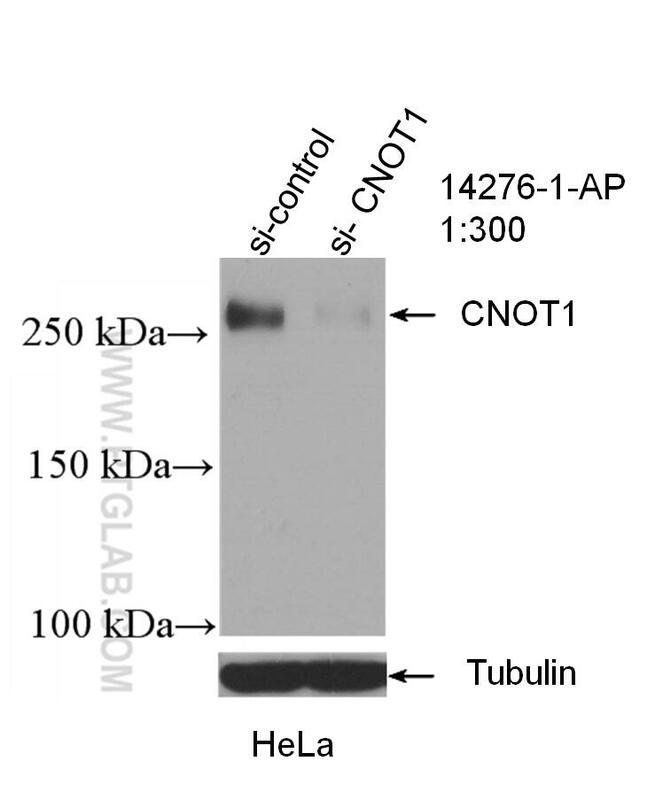 The anti-proliferative activity of BTG/TOB proteins is mediated via the Caf1a (CNOT7) and Caf1b (CNOT8) deadenylase subunits of the Ccr4-not complex. WB result from Dr. Vishram Kedar. 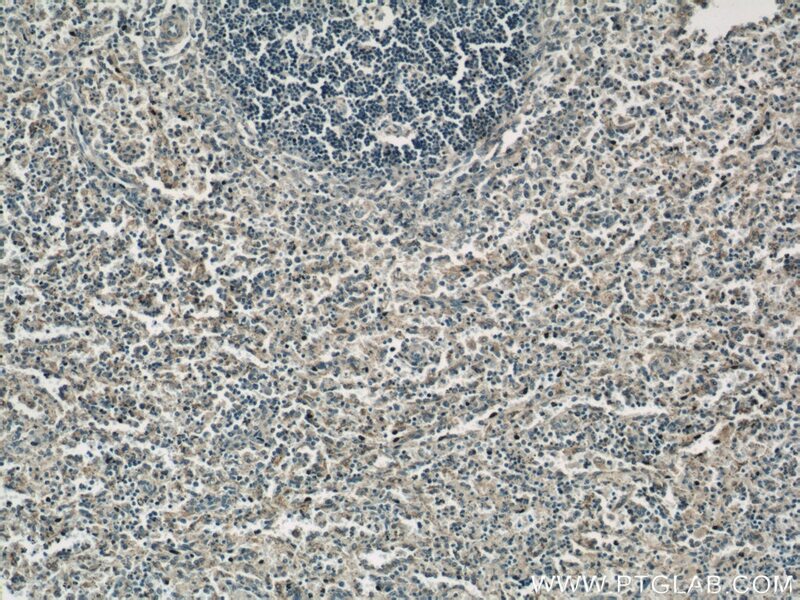 Lysates from transfected HEK293 cells as indicated in the figure above, were subjected to the western bloting using rabbit CNOT1 antibody (Cat # 14276-1-AP) from Protein-Tech group, Inc, at dilution 1:1000 in 5% non-fat dry milk/TBST, followed by goat anti-rabbit HRP (Bio-RAD) at the dilution of 1:10,000 in 5% non-fat dry milk/TBST. Only bands of the size of 174 kDa were seen. 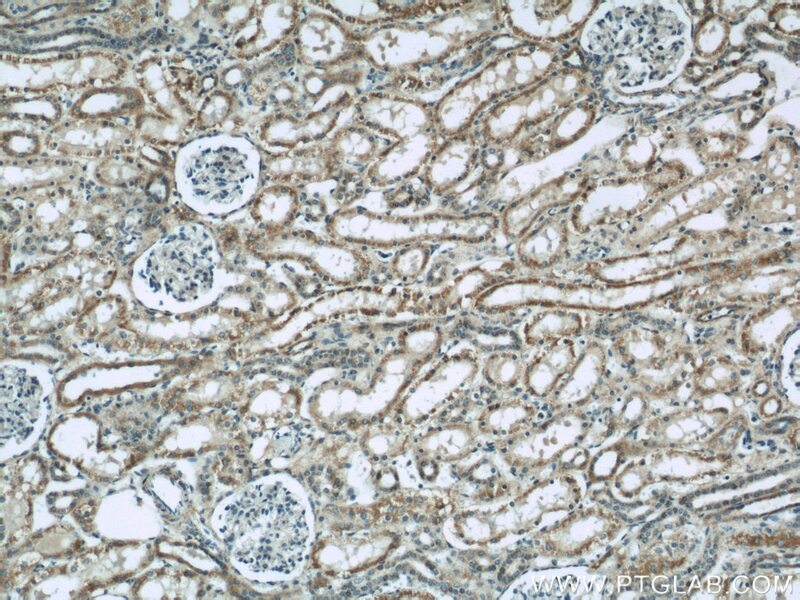 267 kDa bands of CNOT1 were not visible in this short exposure.